Wax begonias are a popular plant with many gardeners because of their lush growth and their almost constant blooms all season long. 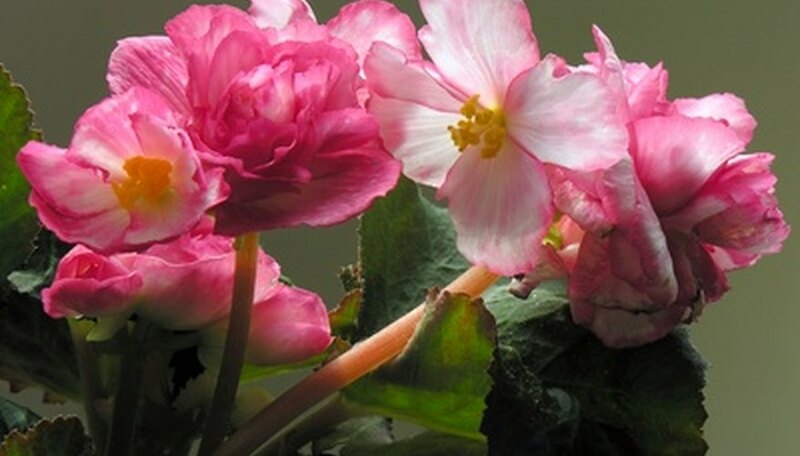 Wax begonias are a hardy plant which prefers sun to shade. Gardeners in northern climates often grow wax begonias in pots so they can be taken indoors during the winter because wax begonias do not tolerate cold. If kept in a sunny window, wax begonias will bloom all winter. While it is possible to propagate wax begonias from seeds, plants grown from seeds can take six months or more to mature, so most people grow wax begonias from cuttings. Take one or more 3- to 5-inch tip cutting from a healthy wax begonia using garden shears or a sharp knife. Make your cut just below a leaf node. Pull off all leaves on the lower 2 inches of your cutting. Fill a growing tray or a pot with a drain hole with potting soil and place your cutting into the soil at least 2 inches deep. No rooting hormone is required, although rooting hormone may encourage faster root growth. Keep the potting soil moist but do not over-water. Wax begonias like damp soil but too much water can cause the cutting to rot. Place your cuttings in a sunny window where they can get several hours of direct sunlight each day. Within seven to 10 days your cuttings should show roots. Replant your wax begonias into individual pots filled with potting mix after three weeks. Fertilize once each growing season with a commercial fertilizer designed for flowers. Plant your wax begonias in a sunny location in well-drained soil mixed with potting mix. Move your wax begonias indoors during the winter or take cuttings and start new plants indoors each winter.